If you are looking for the most charming place in Europe with a picturesque coastline, ancient cities, glamorous yachts, decrepit piazzas, fine limoncello, fresh seafood pasta and loads of character then you have come to the right place, amici. You’ve hit the holiday jackpot: welcome to the Costiera Amalfitana. 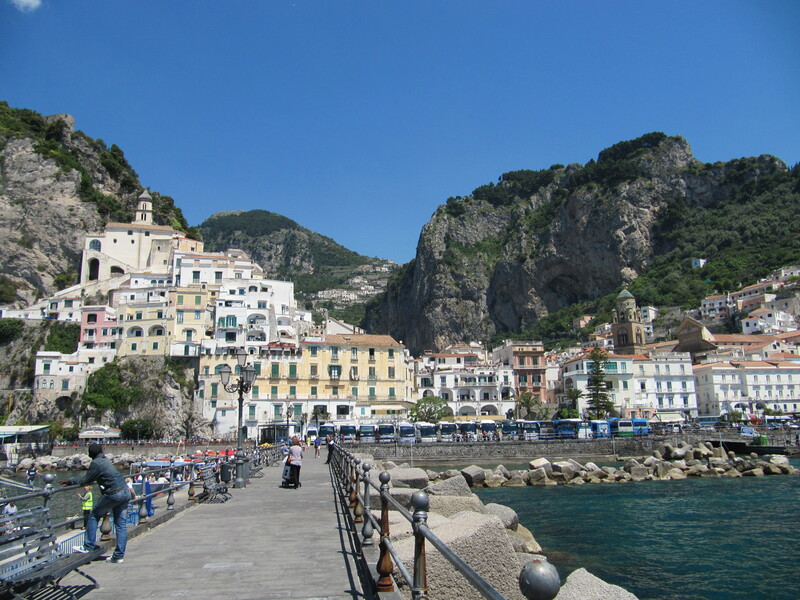 The Amalfi Coast is my favourite part of the world at the moment after having a splendid holiday there with the parental units – I may have different taste to my parents but we all loved it here. This pretty coastline is sprinkled with the most amazing little towns such as Positano, Praiano, Ravello, Salerno and Amalfi. The good thing is that you can stay in one town and hop around to all the others by boat, car or bus – it’s all very close together. Sorrento and Capri are also only a stone’s throw away. I am glad that I lived to see the most glam, the most trendy, the most happening: the photogenic Positano. Positano is most famous for the Spiaggio Grande – the main beach where all the action is – and the lovely Church of Santa Maria Assunta but if you have a day to spare and are interested in taking some of Amalfi home with you, perhaps you’d like to join a cooking class at Buca di Bacco or with Cooking Vacations. They have classes with local chefs. 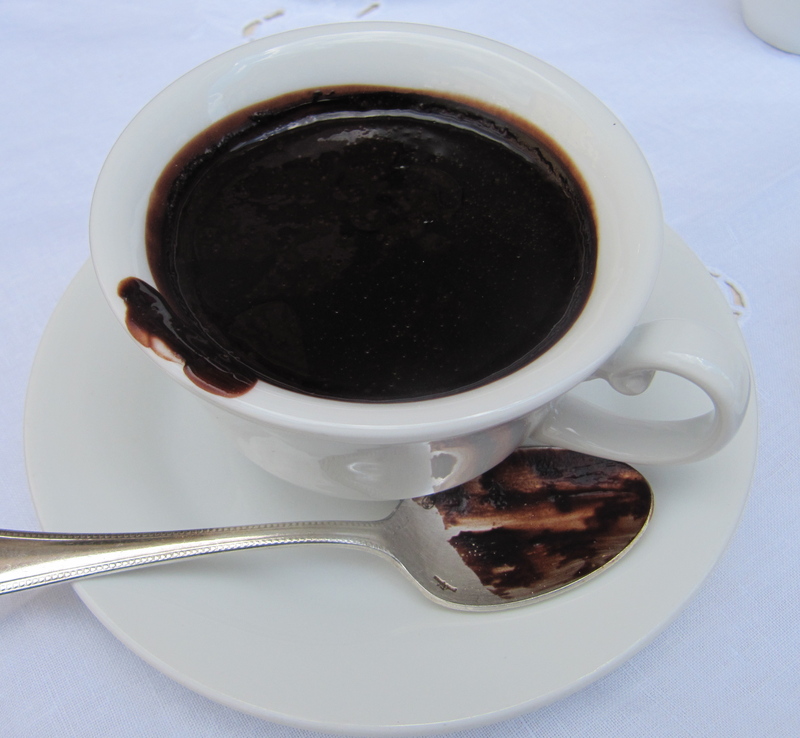 Once you try the Amalfitana cuisine you will want to learn how to make it! 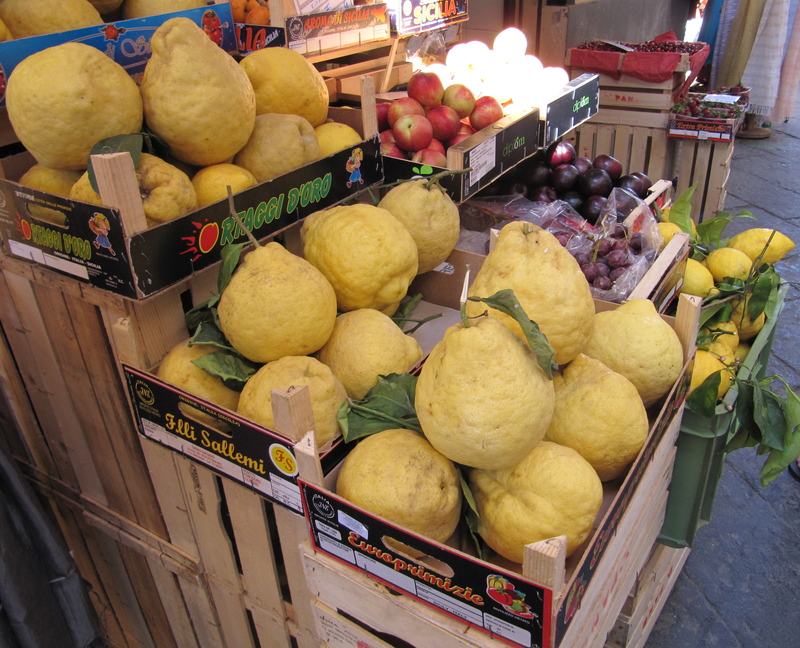 Buca di Bacco has some short classes with amazing Neapolitan and Positanese recipes and If you don’t already know 100 ways to “work” with a lemon then you will after these classes: Amalfi is the lemon capital of… maybe the whole world. Cooking Vacations staff with pick you up and take you to your class and they offer a tour of the local markets. The Grotto dello Smeraldo (the Emerald Grotto) is another famous tourist attraction and can be a bit of a tourist trap. If you have been in a cave before with an underground lake then perhaps you want to give it a miss. If you haven’t been, save your money for the Blue Grotto in Capri – it’s much more spectacular. Now, there are plenty of cool places for you to eat/drink/sunbathe at in Positano and you don’t need my help to find them but perhaps you want to visit the Buca di Bacco Hotel if you are staying overnight or even if you just want a nice dinner. It’s not only the best location on Positano’s main beach and was THE site of the rich and famous who came to Positano to live the Dolce Vita in the 1950’s and 60’s . it’s been operated by the Rispoli family in their converted villa ever since and hasn’t lost its boutique chic and charm. The restaurant and bar are fabulous! Noone ever has anything bad to say about the Buca di Bacco, so don’t miss out on a piece of history. There are plenty of walking tours to do in the hills behind Positano and the tiniest little village of Nocelle. Pompeii is only 1 hour away from Positano, so ask at the tourist office if you wish to visit – my Pompeii experience is a whole other story to come later. 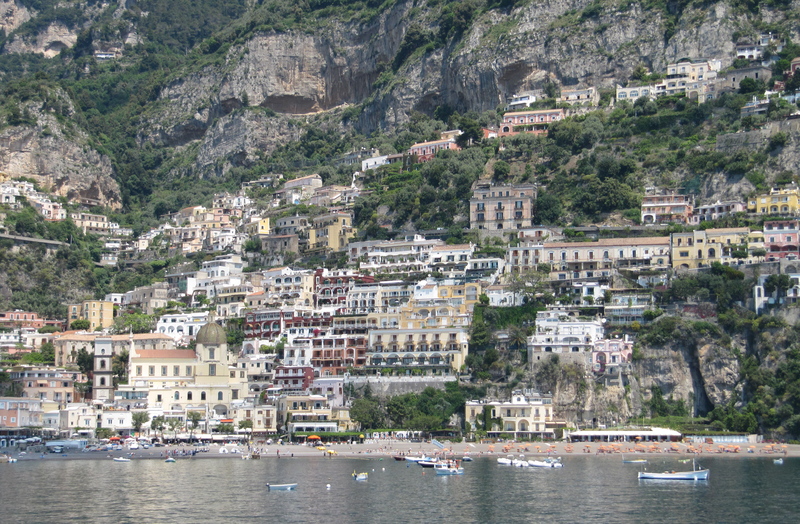 A warning about Positano: it’s on a cliff, there are a LOT of STEPS! Amalfi is Positano and Ravello’s less glam, equally beautiful neighbour. 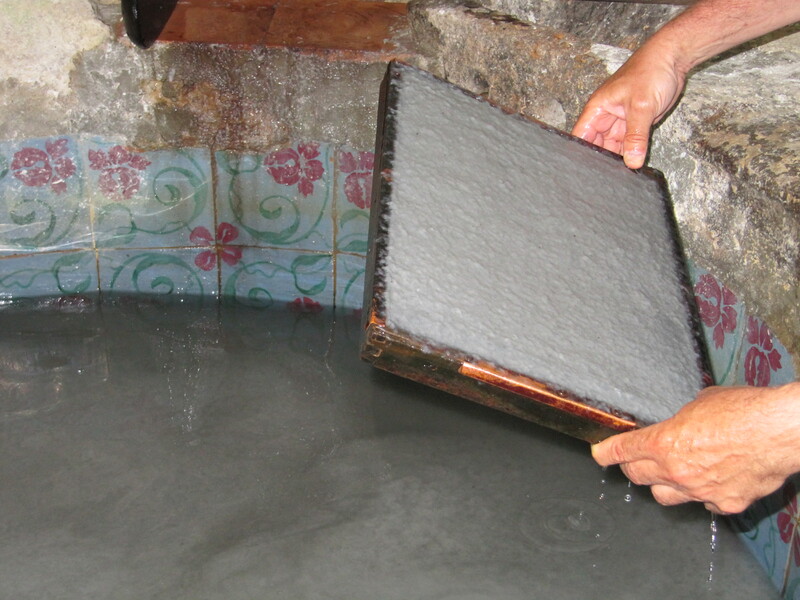 This tiny place was once the maritime capital of Europe and a town famous for the production of paper. 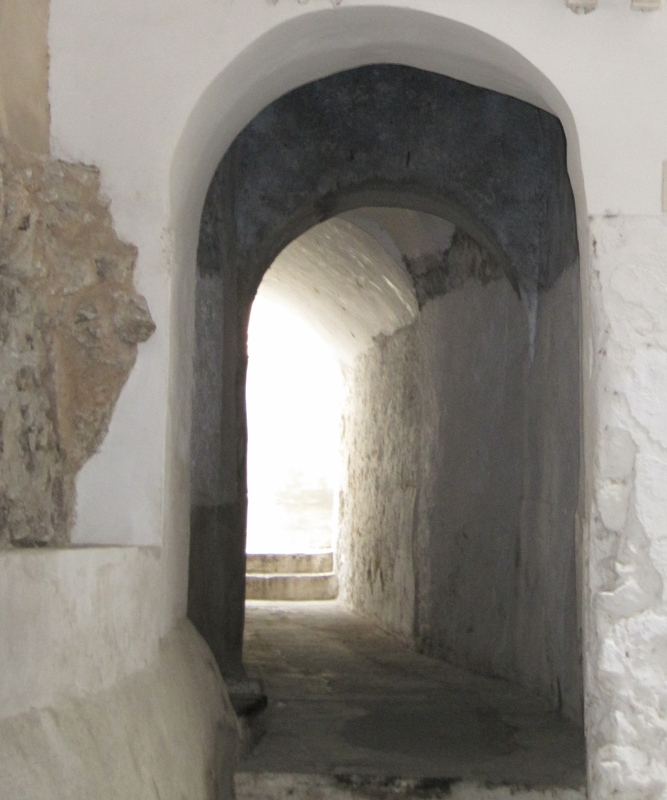 The town’s tunnels and winding walkways were constructed as a defense against pirates: any invaders were lured into the tunnels by pretty girls, sealed inside and boiling oil was poured in to the sealed walkways – clever, weren’t they? 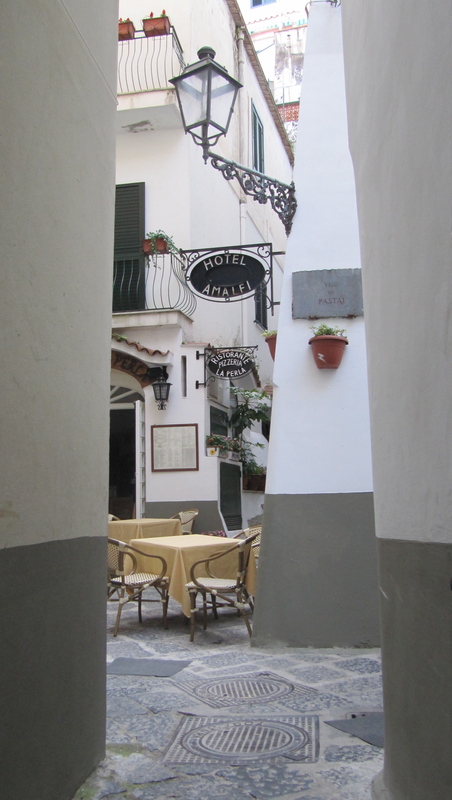 You can learn more about Fascinating little Amalfi at the Maritime Museum and the lovely Museo della Carta (the Paper Mill Museum) at the top of the hill. It’s a tiny museum in a 13th century paper mill which is still functioning and sells lovely, exorbitantly expensive paper. It’s only a few euros to get a tour of this mill which is in a cave. 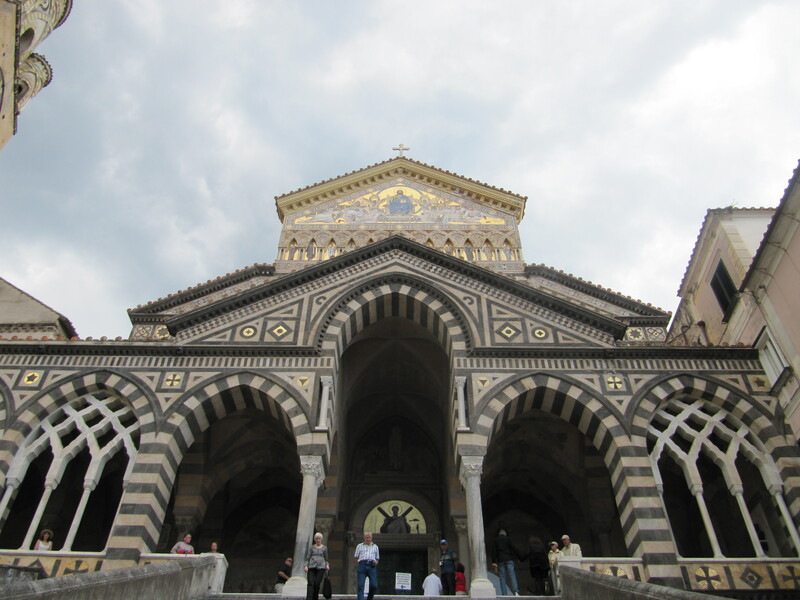 The Piazza del Duomo of Amalfi features a fountain, amazing cafes, cute boutiques, paper and quill shops (of course) and St. Andrew’s Cathedral. I recommend the restaurants off the piazza and off the little lanes as they are quiet and usually less touristy and cheaper. Make sure you have at least one coffee or gelato in the square at one of the posh cafes like Pasticceria Andrea Pansa, which has been there since 1830, and enjoy St. Andrew’s beautiful facade.I loved the cannolis but do ask for extra cream and sugar unless you like very bitter Ciocolata Calda it’s an amazing black soup as thick as mud, if you have one for breakfast you won’t need any lunch – there’s none of this Swiss Miss or Cadbury’s Cocoa powder in Italy. 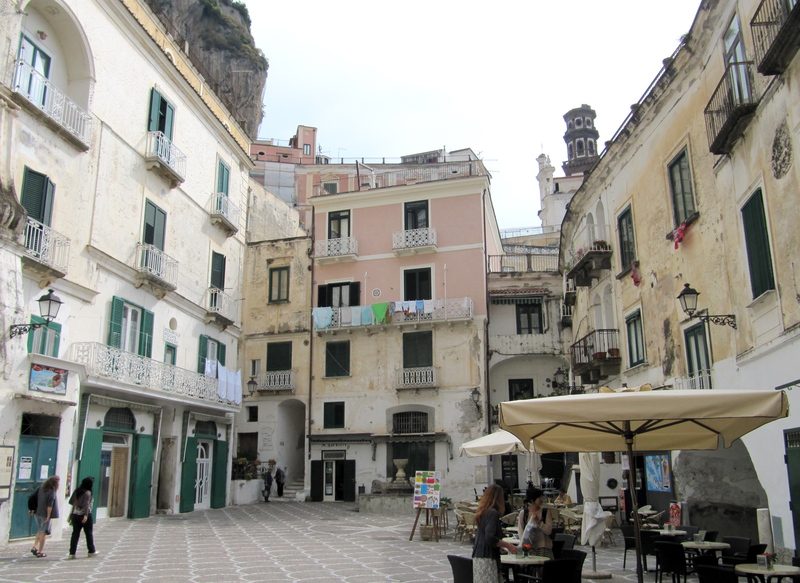 When you are done with Amalfi, walk around to Atrani – it’s a cute little town that is less touristy, more grotty and very cute. Those lemons look like props from Gulliver’s Travels. Hilarious.